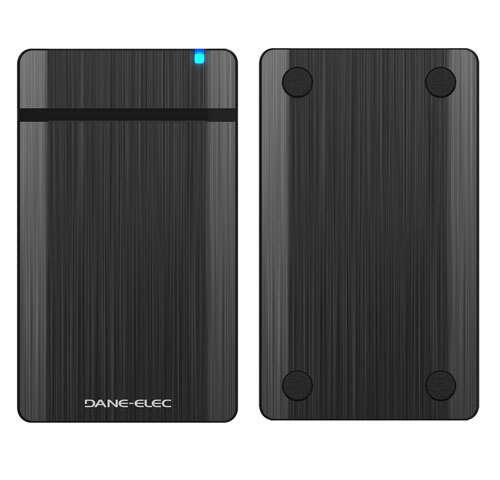 Ten Times Faster USB External Hard Drives From Dane-Elec ! In this picture you are looking is a series external hard drives introduced by Dane-Elec. It is a new line of USB 3.0 external hard drives. With this drive, you can have the data speed up to 250MB/sec that is ten times more than the speed available in current USB 2.0. At the same time, the HDDs feature a capacity of 500GB to 2TB and available in 2.5” or 3.5” formats. The models 80GB and 160GB SSDs are re-branded. The main reason to design this external hard drive is to handle large amounts of data in small office settings and to offer optimum speed for transferring and storing photos, music and videos. The price of the 500GB HDD is $180 while SSDs are available for $400 for the 80GB capacity and $800 for the 160GB variant.